Water wells are a great alternative to city water, and when properly cared for and maintained, well water can actually be better for your body than the municipal water supply. 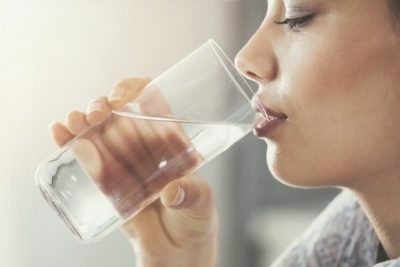 In order to keep water safe for the population, water treatment plants will add trace amounts of chemicals to the water which over time can affect your health and the environment. But with a private water well installed, you are in full control of the water supply and can be sure that you are not ingesting any chemicals or other contaminants. This fresh, clean water does not come without the responsibility of the well owner as there will be required maintenance to keep your water safe for use. There are filtration systems designed specifically for water wells. Filtering well water will help remove minerals, bacteria, chlorine and other contaminants. Well owners should regularly check the water filters as over time they may no longer work properly to remove pollutants and will need to be replaced. If you notice any unpleasant tastes, odors or cloudy water, this could be indicative that the water filters need replacing. Rather than let your water get to that level of contamination, get on a regular schedule with a Dryden well water maintenance company and have your filters inspected at least once a year. Hard water is basically an excessive amount of minerals present in the water supply. This can result in unpleasant smells, staining of plumbing fixtures, laundry and more. Mineral build up can also clog up in the valves in appliances and make them run less efficiently. A water softener system will capture these minerals before they reach your water supply. To keep your system running correctly, you will need to check the water softener salt levels on a regular basis. Talk to your local well water maintenance company about how often salt levels should be checked and ask them if they provide this as part of their maintenance service. Even if you are properly maintaining your water softener, and checking water filters, you still will want to have your water tested for contaminants at least once as year as even the clearest water may contain bacteria or other pollutants. If your water supply has a history of contamination, you may want to have it tested even more frequently. A well water maintenance company can test your water supply and will be able to advise just how often your water should be tested. Your water well has the potential to provide a higher quality of water than city water but maintenance is key. If your water well is not properly cared for, you may end up with foul smelling and tasting water, and even worse, water that is unsafe. 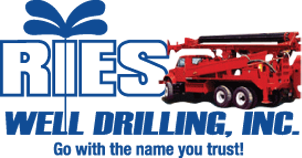 If you are looking for a well water maintenance company in the Dryden area, Ries Well Drilling services Macomb County, Lapper County, Oakland County and St. Clair County.